Trust is playing by new rules in today’s world of digitally driven marketplaces. But human relationships remain pivotal to building successful brand-consumer interactions today and into the future. 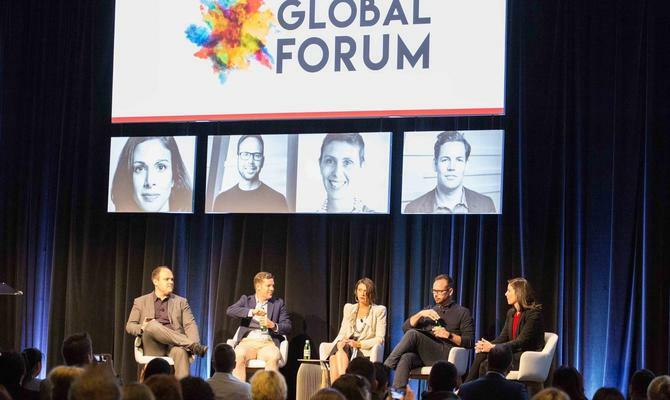 That was the general consensus across a panel of marketing and industry commentators at ADMA Global Forum, who explored the nature of ‘collaborative consumption’ and how digital and technology are changing conceptions of trust. While panellists agreed technology increasingly enables trust to occur across digital and physical interactions, it was equally clear it’s the sociological trends and human relationships underpinning them that create or crush success. Author and digital trends commentator, Rachel Botsman, said digitally disruptive brands such as Airbnb are utilising technology in order for consumers to trust strangers on a scale never possible before. Coming forward to today, Botsman saw a second shift happening due to the collapse of trust around institutions, and the move towards ‘distributed trust’, or direct trust between human beings or with intelligent machines. “There’s this interesting question around whether technology can make us smarter about who we can trust, which changes how we fulfil our needs and wants,” she said. There are three broad reasons why trust has eroded, Botsman said. One is the perceived lack of institutional accountability in situations such as the GFC, while the second is the inversion of influence. EBay CMO, Tim MacKinnon, saw trust as fundamental to the online seller marketplace and said it’s being propelled through data. For example, the company has a comprehensive customer feedback system, but it also uses objective data to track interactions. More recently, eBay has tapped machine learning to detect if a transaction looks fake, to remove offensive images, and to translate communications between customers globally. “Technology is critical to trust and breaking these barriers down – it’s enabling trust in ways we never before,” he said. Another way eBay builds trust is by “borrowing” it from partners, Mackinnon said, adding 80 of the top 100 retailers in Australia are now selling on the platform. Over at Uber, trust starts at a company level, its CMO, Steve Brennen, said. “When you press the button and tap the app, the trust is with Uber first,” he said. Things in the back-end supporting that relationship are digital profile of drivers and transparency, automated payments, and 24-hour customer support. What ultimately fosters that bond, however, is humans trusting other humans. “You have 3 million people in 65,000 cars travelling around every 90 days. That’s a lot of humans in a small metal box , and humans have to trust humans for that to happen,” Brennen said. “Technology can do a lot to enable that, but the reality is a relationship involves trust. Like humans in a relationship, you have to have a level of credibility, reliability, self-interest relationships. Botsman was less certain about where the position of trust lies in the age of platforms. Peer Academy CEO, Kylie Long, works in the public sector space, where she claimed trust has been completely eroded. Long suggested public sector is in this situation because governments have been structured around the centralisation of power. “It’s been very inward looking, rather than outside-in,” she said. Long was critical, however, of whether the promise of the sharing economy has been realised. “There seem to be so many disparate values,” she said. Long pointed to extreme polarities around open source, commons based models, and the models monetising resources. “Who is benefitting? There is a higher order conversation potential here,” she added. Botsman agreed some marketplace models have raised new kinds of network monopolies where one platform has a lot of control over what happens between customer and provider. “The second thing is whether this is really a democratisation of wealth because we haven’t changed the funding structure,” she continued. “One of the things we thought would happen was more sharing in value and co-operatives. Mackinnon was convinced market places reflect marker forces, but saw a positive in the way marketplaces have enabled those without historical market power to innovate. He noted 3000 millionaires have been created off eBay that wouldn’t have had that opportunity without digital and technology at their disposal. There’s also a balance that needs to be struck between processes to ensure customer experience, and totalitarian behaviour, Mackinnon said. What marketplaces do have is a closer connection to what the market wants, Botsman said. What trust does give brands permission to do is play in a role in the consumer’s life, Botsman added. “Trust has always been important. Where institutions struggle is in the way of building, managing and repairing trust – there are whole new set of rules around that,” she said.